An exploration of the ongoing aftermath of Bosnia’s 1992-1995 conflict. 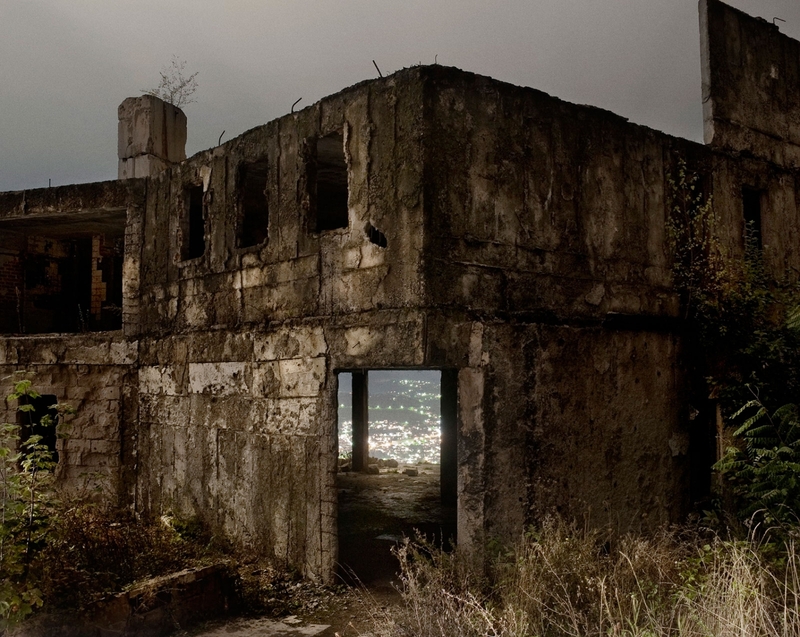 Mastrorillo and Ciarabellini consider “outward normality,” the “acceptance of chaos,” and “the seeds of madness” as they portray the scars of the war on both people and infrastructures – and also show what is beneath the surface, a chaotic uneasiness that hangs over Bosnia’s future. Kula Grad, Bosnian village near Zvornik. 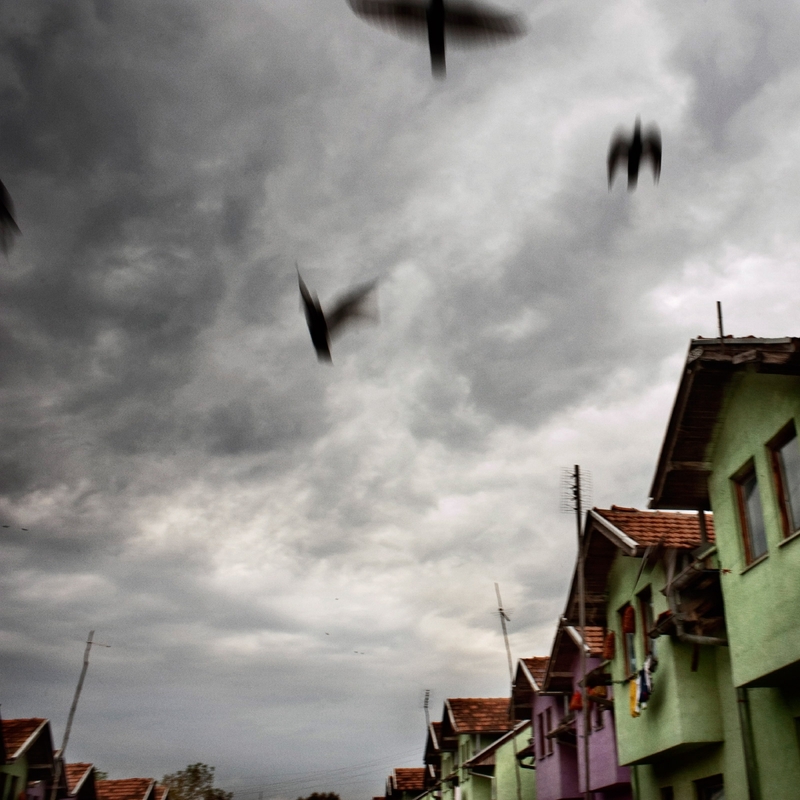 In BiH, many new houses, built with funds sent by Bosnian refugees who emigrated to other countries, are still empty. October 2010. Photo by Massimo Mastrorillo. 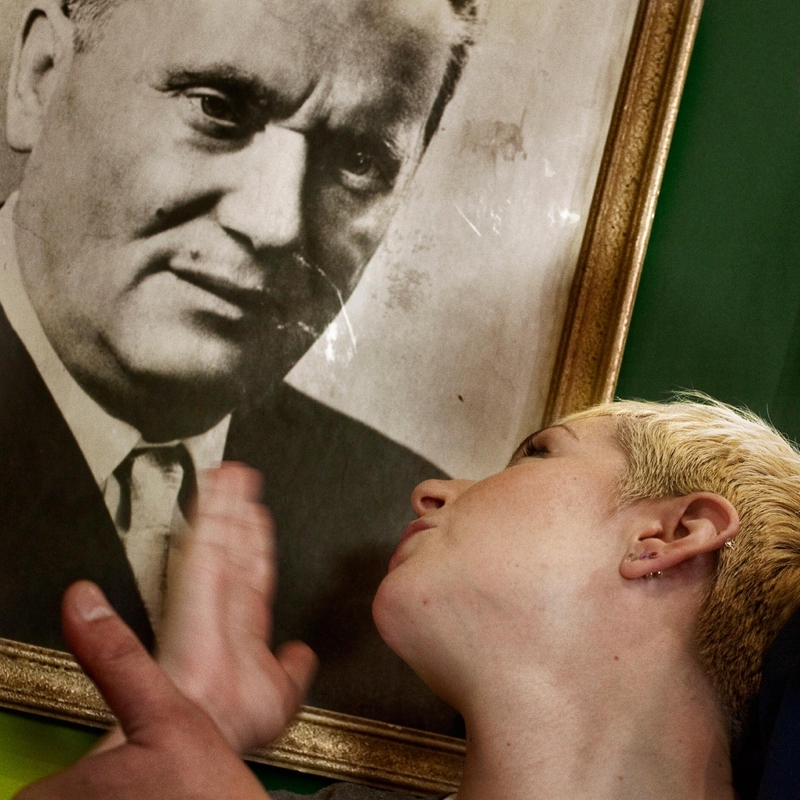 A young woman gestures to a portrait of the late Yugoslavian leader Josip Broz Tito. In BiH, many people, regardless of age or religion, still love Tito and his policy of “Brotherhood and Unity.” September 2010. Photo by Lara Ciarabellini. 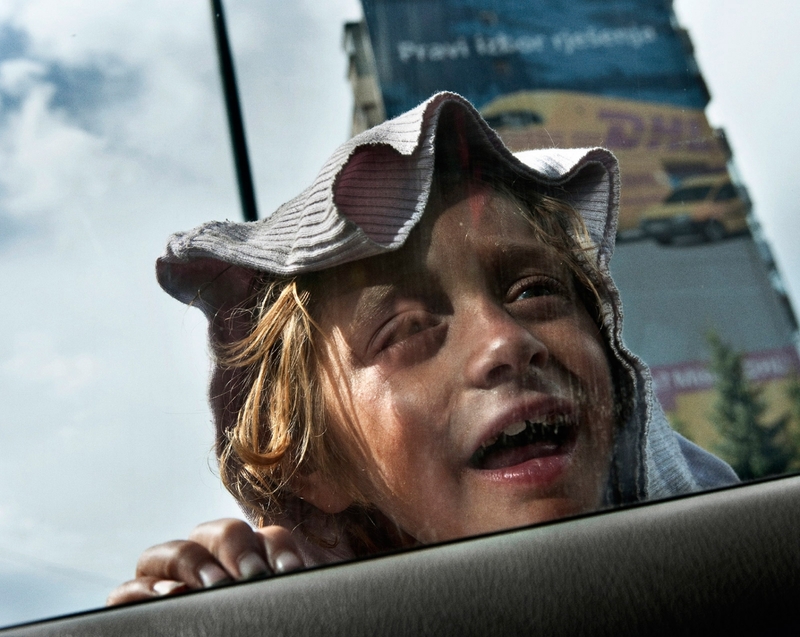 A Roma, or gypsy, child in Sarajevo begs for money. Roma people do not have voting rights in BiH under the current constitution. Only Bosnians of Serbian, Bosniak and Croatian nationalities are recognized by the constitution. September 2010. Photo by Massimo Mastrorillo. Trebevic, East Sarajevo. During the 1984 Olympic Games, Trebevic was used for a number of Olympic events, including bobsledding. During the 1992-95 war, it was one of the key positions Bosnian Serb forces used to rain down artillery on the citizens of Sarajevo. Today, Trebevic mountain belongs to the Republika Serbska half of BiH. In 2008, the United Nation’s High Representative for BiH stopped Bosnian Serbs from erecting a huge Orthodox cross here to commemorate Serbs who died during the war. September 2010. Photo by Massimo Mastrorillo. Novi Travnik. The Bratsvo arms factory (“bratsvo” means “brotherhood” in Bosnian) was destroyed by Serbian forces in 1994. 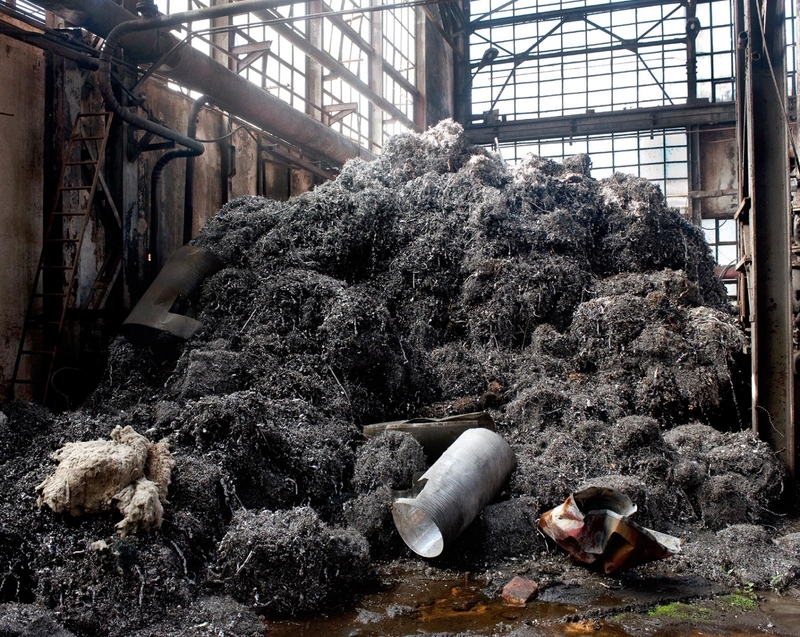 The factory has never resumed operations. An elderly Muslim man, who worked for an arms factory in the former Yugoslavia before the 1992-95 war, said with typical Bosnian humor: “If I had known they would have used it to kill us, I would not have worked so hard.” September 2010. Photo by Massimo Mastrorillo. Spionica. A refugee camp of people from Srebrenica. Annex VII of the Dayton Peace Accords grants the right for all refugees and displaced persons to return to their pre-war places of origin. The 1995 massacre of some 8,000 Muslim men and boys by Serb forces near the town of Srebrenica has left mental and emotional scars on many former residents, most of whom do not want to go back to their homes. October 2010. Photo by Lara Ciarabellini. 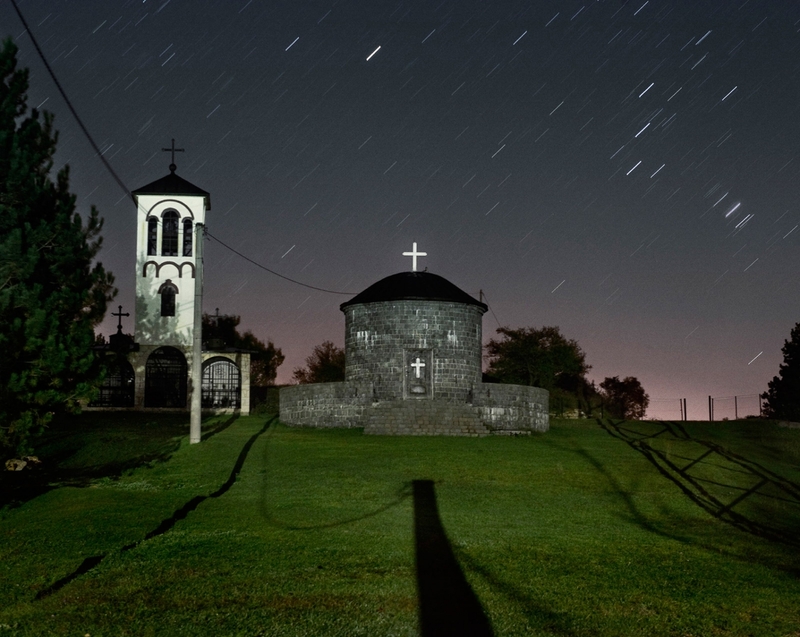 Orthodox church, in the Serbian part of Kula Grad, a village near the town of Zvornik. 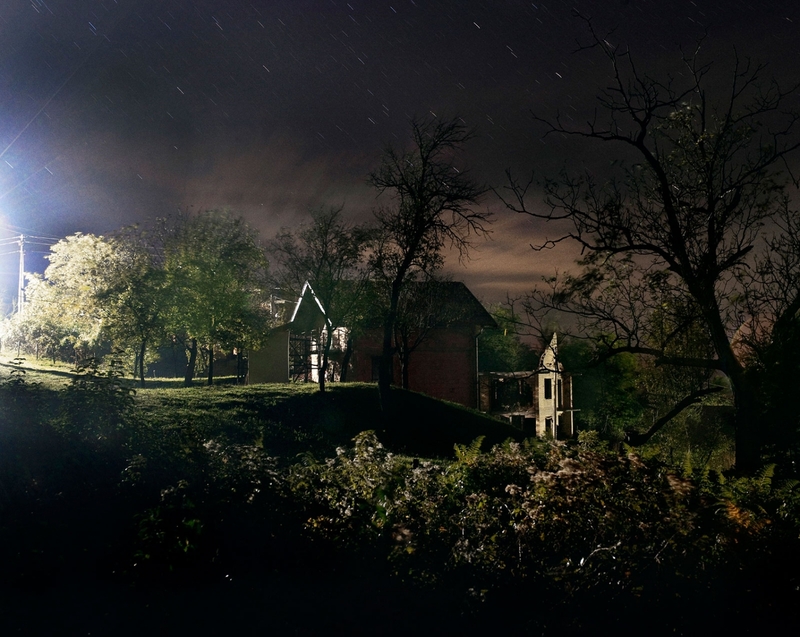 The church had been built in the Muslim village of Divic, on top of the remains of a mosque. The Muslim community contributed financially to move it to this hilltop in Kula Grad. October 2010. Photo by Massimo Mastrorillo. 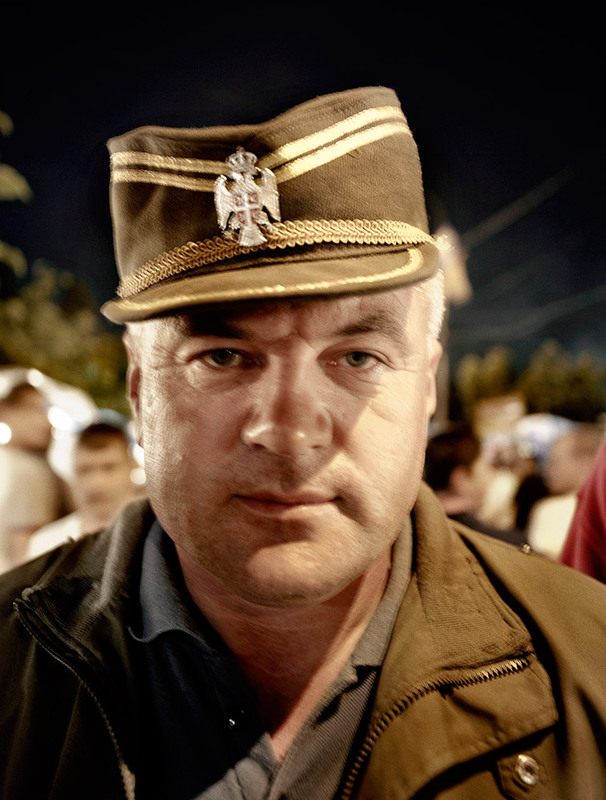 A Ratko Mladic look-alike. Ratko Mladic was the former Bosnian Serb military leader who eluded capture until May 2011 and is still revered by many Bosnian Serbs. Now on trial at The Hague, he is accused of committing war crimes, crimes against humanity and genocide for his role during the war. The International Criminal Tribunal for the Former Yugoslavia has accused him of being responsible for the siege of Sarajevo and the Srebrenica massacre. Mladic was still at large when this photo was taken. August 2010. Photo by Lara Ciarabellini. Tuzla. 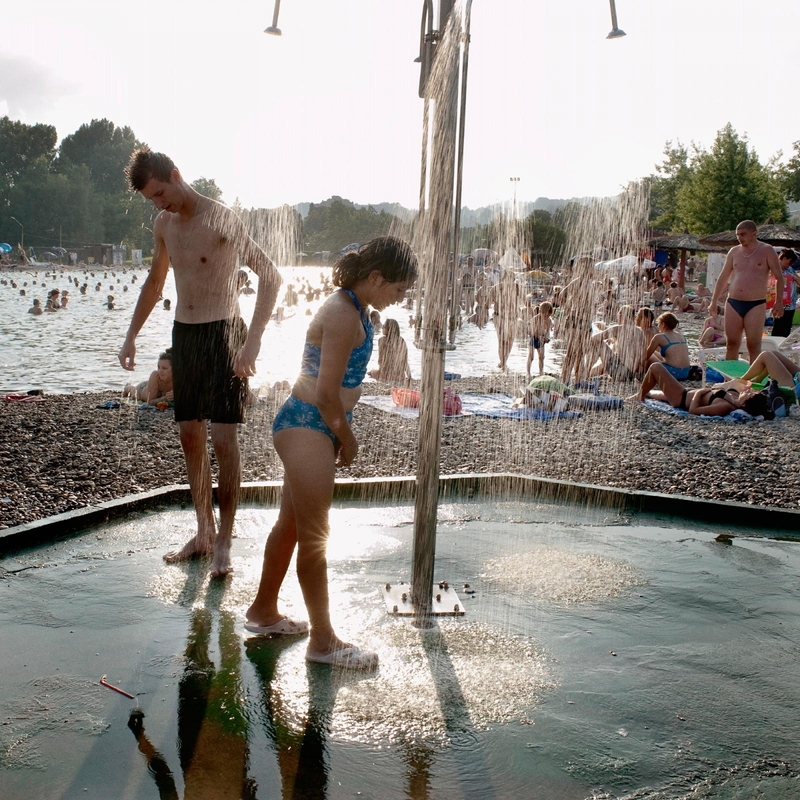 Bathing in the salty lake of Tuzla, one of the few “undivided” cities in BiH. When asked which nationalities usually attend this place, a beach-keeper answered: “I don’t know. In Tuzla, we don’t care.” Locals say that even-handedness in judging war crimes and fair treatment of all nationalities in the workplace have been two of the main reasons for peace and harmony in Tuzla, even during the war. July 2010. Photo by Lara Ciarabellini. When political leaders sit around a table for peace talks, and then sign an agreement, newspapers headlines go like — The war is over. Yet, what about the 1995 Dayton agreements, both marking the end of the war, and confirming the reasons for it? What should have been newspapers’ headlines there? What could be the aftermath? Peace, here, has a very high social and anthropological price. Formal disavowal of brotherhood, and endorsement of na- tionalism emit vibrations of a conflict that is still spreading in some deep and invisible layer of the earth, which, however, become clearly audible because of the widespread uneasiness experienced throughout the streets of Sarajevo, Mostar, and any other city whether or not “divided”. And, maybe, for such a long-tormented people, genetically filled with proud and strong emotions, the uneasiness is really part of their lives. And yet, normality has been declared. Therefore, normality must surround people, tinged with the every- day, standardized shades of the rest of Europe (shopping centers, film festivals, art exhibitions, etc.). Normality is on everyone’s lips. But, is that true normality? Our work begins here. It explores the aporia of “outward normality”. We will explain — including through news stories — that, too often, everyday life is like a bride dragging a heavy train of madness. We will report those micro shocks undermining an already weak and precarious balance, like the Muslim com- munity of Sanjak: a former birthplace of such war criminals as Ramiz Delilac, an today an enclave of Wahabi, and, tomor- row, perhaps, a land of new confrontations. It digs into acceptance of chaos. History is taught in three different versions in schools, and winners and losers are mixed up. Bridges separate towns and their people’s cells. Places of memory and pain are guarded by executioners, precisely those who caused the pain. It investigates into the seeds of madness. We will show a kaleidoscope of the endless facets of fear — fear of quarrels, fear of memories, fear of other people, “fear of fear”, which makes one motionless in front of the future. Everything is shown with a photographic downbeat/upbeat rhythm — a metaphor and a document — a record and an allegory. Lara Ciarabellini is an Italian photographer. In 2010, she graduated in photo reportage in Roman School of Photography and currently she is attending the Master in Photojournalism and Documentary Photography at London College of Communication (University of Arts). Her publications include Internazionale, Terre di Mezzo, PhotoRaw, The Boat Magazine, and Poutporri.